Property investment can be an exciting opportunity for new investors. 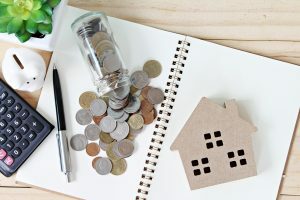 When evaluating the cost of a property, however, many homebuyers don't account for the ongoing expenses involved in owning and maintaining their asset. Investment property expenses add up and can fluctuate over the course of ownership for a range of different reasons, whether it be unexpected repairs, rising interest rates or changing market conditions. As a responsible investor, it's important to plan for these future expenses and factor them into your number-crunching before making a purchase. For most property investors, their largest recurring expense will be their mortgage loan repayments. The best way to manage this expense is to choose a loan product and lender that aligns with your investment strategy, as well as your financial needs and long-term objectives. High-income earners with a larger savings balance, for example, may choose to take advantage of the benefits of an offset loan to reduce interest on their mortgage payments. Alternatively, investors who need a guarantee that repayments won't change over time (for example, if they're starting a family or expecting a reduction in their income) can benefit from a fixed-rate loan. New investors can also focus on improving their serviceability to better their chances of securing their chosen assistance from financial institutions. Building Insurance: This covers the cost of damage to your building and its fixtures, but doesn't include contents. Depending on your policy, this may cover events such as fires, water damage and falling trees. Landlord Insurance: This protects you from the risk of a bad tenancy, such as vandalism of property or not paying rent. This insurance is also tax deductible. Contents Insurance: This will cover personal possessions, such as furnishings and white goods, from damage or loss in events such as fires or theft. The range of contents and type of damage covered will also depend on your policy. While managing your own property is possible, most people simply don't have the time or expertise to deal with the additional work. Property managers take the stress out of owning an investment property by managing and maximizing its value on your behalf. Property managers will help to organize all aspects of your property, including handling tenants, maintenance and dealing with any additional issues that may arise. Fees for management will vary depending on your provider and their services, and are also tax-deductible. While not always a constant cost, it's important to set aside funds for maintenance and occasional repairs. Every property will need maintenance or repairs eventually, but older properties may need attending to more often. Setting aside a cash buffer means you'll be prepared for costly incidents, such as the breakdown of key appliances. Being able to make these repairs quickly and effectively will help to maintain your tenant's lease and improve your property, all without risking your financial stability. Money from your cash buffer can also be used for home improvements such as carpeting, repainting or replacing gutters. This can make your property more appealing to renters and may enable you to charge a higher rent. Property managers and other specialists will be able to best advise how much money should be set aside as a buffer to protect your long-term investment strategy. With the right advice, along with proper budgeting and planning, you'll be ready to tackle ongoing expenses with a sustainable investment strategy. Daniel Defendi is a writer and active blogger who write for Momentum Wealth, an expert in investment property strategy. You can follow up with him on Google+ to discuss this piece.